Painful spot on the inside of my shin bone? Why is there a painful spot about 4cm above my inner ankle on the inside of my shin bone? I’m glad you asked! If you haven’t already done so, please read the Info Sheets on Compartment Syndrome and Shin Splints. 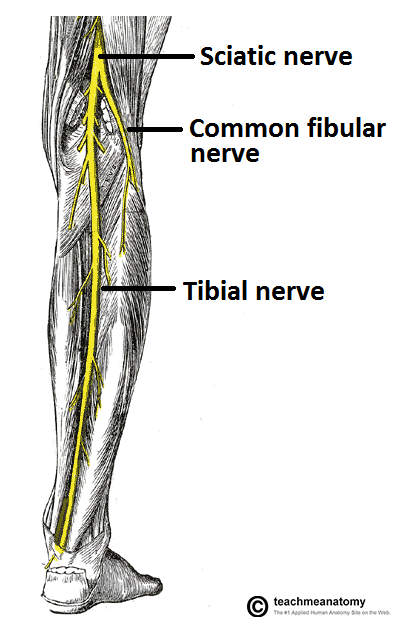 That spot of acute pain is the place at which the Tibial Nerve punctures the fascia layers and goes from being ‘inside’ the leg to ‘outside’ on the surface. 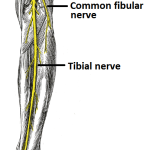 When the foot pronates, as well as the tibial muscles getting elongated, the fascia also gets stretched down. This means the hole that the nerve passes through gets pulled out of shape and downwards. This presses on the nerve and is most unpleasant, especially when your previously friendly podiatrist pokes it to be sure! As discussed in the Info sheets, management includes orthotics to stop the distortion / elongation of the tissues.